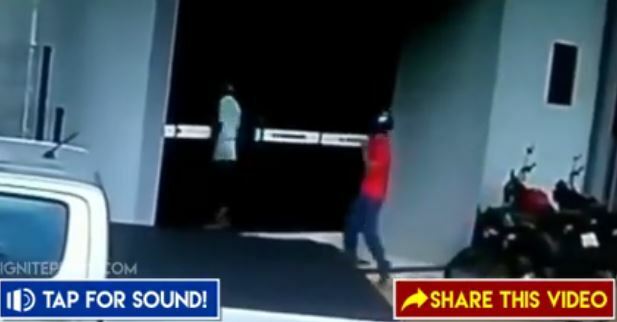 WATCH: Security Guard Bravely Fights in Shootout With Two Holdapers! Warning: The following video contains graphic scenes and themes, unsuitable for minors. Reader discretion is strongly advised. 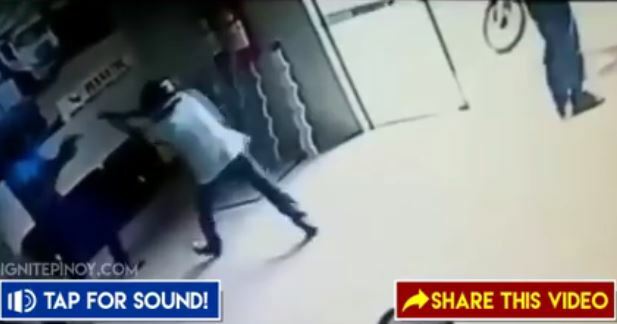 One of the unsung heroes of today’s society is the humble security guard. The security guard has a simple job of guarding a certain building or area – making sure no troublemakers make a scene. However, a security guard is just as steadfast in their duty as a police officer is. Despite their monotonous and boring days – it’s actually a good day in a guard’s job when nothing exciting happens. That’s why they’re always ready to call attention to anyone making a scene. That’s to dissuade any trouble. And let’s be honest, you don’t want to anger a security guard who has nothing to do all day. You never know what they can do. 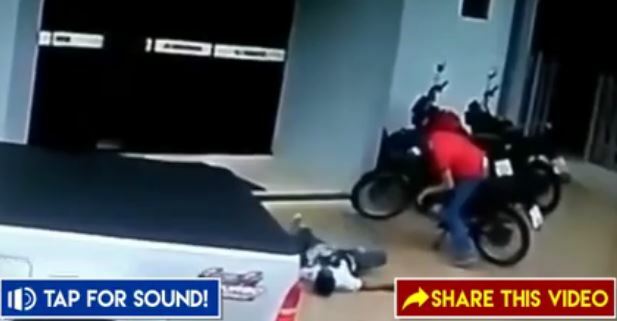 A video shared by the IgnitePinoy.com Facebook page has gone viral, featuring the daring efforts of a security guard versus two wannabe “holdapers”. 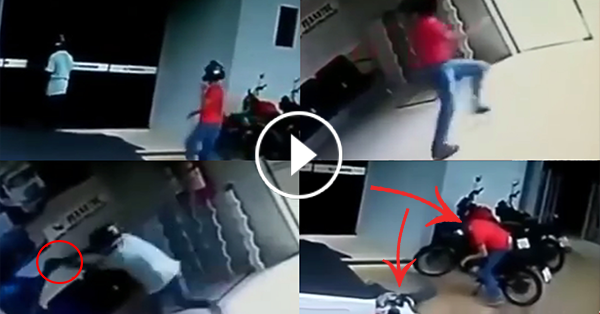 In the viral video, two unidentified males riding-in-tandem entered this building with their helmets on. As they approached the security guard sitting on one of the benches, the assailant wearing the white shirt pulled out a gun. The guard immediately noticed something wrong with the duo and stood up. Unfortunately for the man in the white shirt, the guard was quick on his draw and pulled out his own gun. An audible shootout ensued off camera. As shots were fired, the man in the red shirt ran outside for his life. Soon the other holdaper came out of the doors with a visible gunshot wound on his back. Both men stopped dead in their tracks. Netizens lauded the guard’s heroic efforts. It just goes to show that crime truly doesn’t pay. Tell us what you thought of that news article in the comments section. Be informed and share this story on Facebook.